A Culture of Compassion, an Inspiration in Care. If you or a loved one are in need of health care, require advanced skilled nursing services and rehabilitation, then Mission Skilled Nursing & Subacute Center is the choice for you. 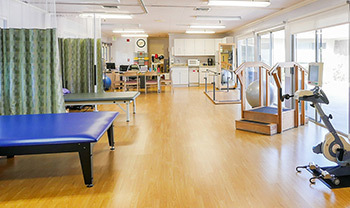 At Mission Skilled Nursing & Subacute Center, our rehabilitation team has over 15 years experience in this community treating patients with strokes, fractures, joint replacements and many other conditions. Mission believes in combining cutting edge technology with proven therapeutic programs to improve outcomes, decrease length of stay, and to get each of our residents to their highest practicable level of function and discharged to home whenever possible. We provide individualized treatment programs, which allow residents to reach their maximum independence level. 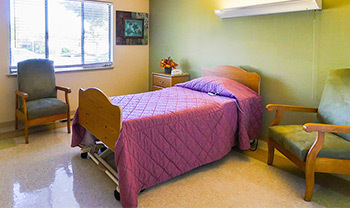 Homeward Bound is a short-term rehabilitation program, which focuses on addressing the specific needs of each patient. Treatment programs are individualized in order to allow our patients to reach their maximum potential. Because we believe that family support and education are vital aspects in providing excellence in care and assisting the patient to maximize functional ability and independence, family involvement in the rehabilitation process is encouraged. Our Physical Therapy program focuses on the identification, prevention, and rehabilitation of individuals with physical impairment and pain. Following evaluation, the physical therapist develops an individualized treatment program to address lower extremity and trunk strength, range of motion, balance, coordination, functional movement, ambulation, endurance, and pain reduction. The Occupational Therapy program addresses activities of daily living skills, including eating, dressing, hygiene, and home management tasks. It also provides treatment interventions for upper extremity function, cognition, perception, and community reintegration. Our Speech/Language Therapists provide a continuum of services, including assessment, education, and treatment of patients with communication, cognitive, and swallowing problems. Treatment programs are directed towards improving communication skills in the areas of comprehension and expression. Patients admitted to the facility that are receiving nutrition partially or exclusively via gastrostomy tube are evaluated for their potential to return to solid foods as appropriate. Call us today to find out more about what Homeward Bound can do for you! Contact us today to find out more about what Mission Skilled Nursing & Subacute Center can do for you! 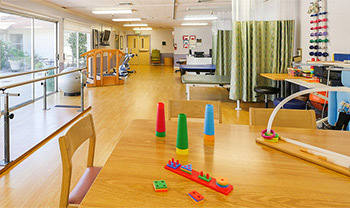 Mission Skilled Nursing & Subacute Center provides both short-term rehabilitation and long-term care at the highest standards. We provide comprehensive skilled nursing care using state-of-the-art medical equipment and progressive treatment plans promoting quality care. An interdisciplinary care team made up of nursing staff, therapist(s), resident dietitian, activities and social services develop a customized plan of care that addresses specific care needs and therapy goals necessary for the resident. This approach enables both our short-term rehabilitation residents and our long-term residents (and their loved ones) to receive the highest level of care possible.